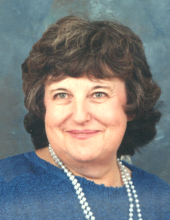 Mildred “Yvonne” Brown, 81, of Sterling passed away Wednesday, March 27, 2019 in Sterling. Memorial services will be held on Monday, April 1st at 11:00 a.m. at Tennant Funeral Home. Yvonne was born August 20, 1937 in Wray, Colorado to William G. and Ella (Fincher) Minnerly. On May 22, 1953 Yvonne married Willard Brown in Akron, Colorado and the two were married for 60 years until Willard passed in 2013. Yvonne’s passion was taking care of everyone around her. She reinforced this with many years of nursing at Devonshire Acres. She took special Pride in loving and caring for her handicapped grandson Martin Brown until he was 21 years old. Yvonne is survived by sons Steve Brown, Doug Brown and wife Jeanette, daughter Jeanne Brown, 21 grandchildren, 33 great-grandchildren, and 1 great-great-grandchild. She was preceded in death by her husband Willard, daughter Susan Thomas, daughter Julie Brown, and son Dennis Brown. Memorials can be made to the Mildred “Yvonne” Brown memorial fund c/o Tennant Funeral Home PO Box 1547, Sterling, CO 80751. To send flowers or a remembrance gift to the family of Yvonne Brown, please visit our Tribute Store. "Email Address" would like to share the life celebration of Yvonne Brown. Click on the "link" to go to share a favorite memory or leave a condolence message for the family.